Hotel Vinayak in Haridwar is located right in the heart of the holy town. An epitome of generous hospitality, the hotel is an enclave of sophisticated luxury and comfort. The hotel offers you a wide range of specialty rooms to choose from. The hospitable staff at the hotel is always eager to make your stay most pleasurable and worth remembering. 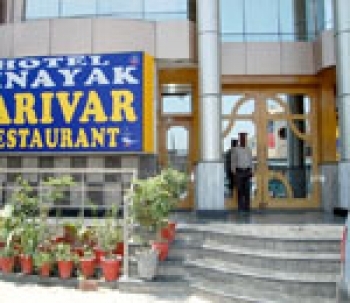 Vinayak hotel is located near the Haridwar Market (2kms), just 1 km from Railway Station and Bus Stand. Har ki Pauri is just 3.5 kms from hotel. It is also close to the BHEL and Haridwar Industrial Area. 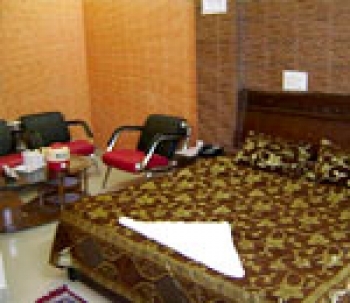 Hotel Vinayak has 24 fully furnished rooms. Rooms are opulently appointed and divided into a range of specialty rooms : Executive Suite, Executive AC, Family AC, Luxury AC and Standard AC. A distinct and stylised setting makes you stay at the hotel an unforgettable experience. Each room comes equipped with cable network connection, direct dial telephone and attached bath. Parivaar - is the multicuisine restaurant in Vinayak Hotel, where you can relish a wide range of delectable cuisines including Indian, Chinese and Continental.